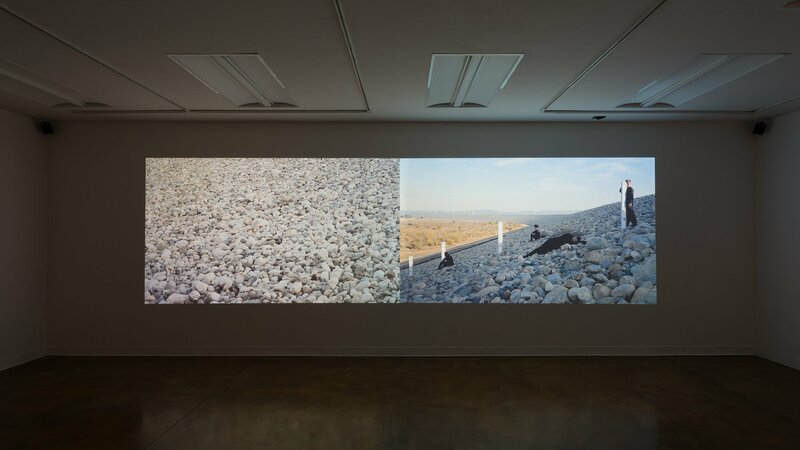 Distance In/Formation is a collaborative work by Los Angeles-based artists Johanna Breiding, Rebecca Bruno, Yann Novak, and Willy Souly that draws on landscapes in the distance between Los Angeles and Claremont. Featuring two media artists and two dancers, the project focuses on the intersection of dance, video, sound, and aesthetics as a means to explore the extension of body in space. Inhabiting queer identities, the project creates a space in which different architectures, geographies, and subjectivities are manifested and extend beyond the physical constraints of site and the body itself.